If you are here, chances are you are either getting married, renewing your vows, or know someone who is interested in doing so. However you found us, you’re in the right spot! For over 30 years now, Weddings the Island Way has been creating custom ceremonies and receptions for couples looking to have a unique and memorable event in the United States Virgin Islands. 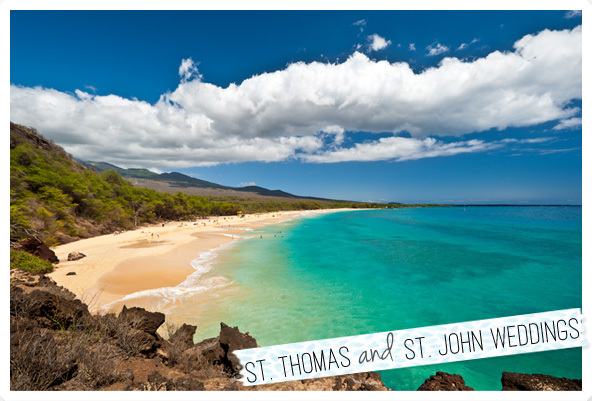 As you will see, we have created several St. Thomas and St. John wedding packages. All packages, with the exception of the Vow Renewal, INCLUDE the marriage license handling and processing as well as the $200 fees the court requires–we make this as simple and stress free for you as we can. While we specialize in St. John and St. Thomas weddings, we have coordinated weddings and receptions on Water Island, Hans Lollick, and even Jost van Dyke in the British Virgin Islands. There are so many beautiful beaches here but if a toes in the sand ceremony isn’t your cup of tea, we can plan something at a villa, botanical garden, seaside overlook, on a boat…the possibilities are endless! Don’t see something on our site that you would like? Just ask. We will figure out how we can make it happen. We look forward to creating the perfect wedding for you and making this an enjoyable and fun process! Erica Hebert started WTIW in 1988 after planning her own wedding. After receiving overwhelming positive feedback, she decided to try something that hadn’t been done before. Thousands of weddings later, Erica still gets excited helping brides plan their perfect day. Living on St. Thomas for over 20 years, she can answer many of your questions. 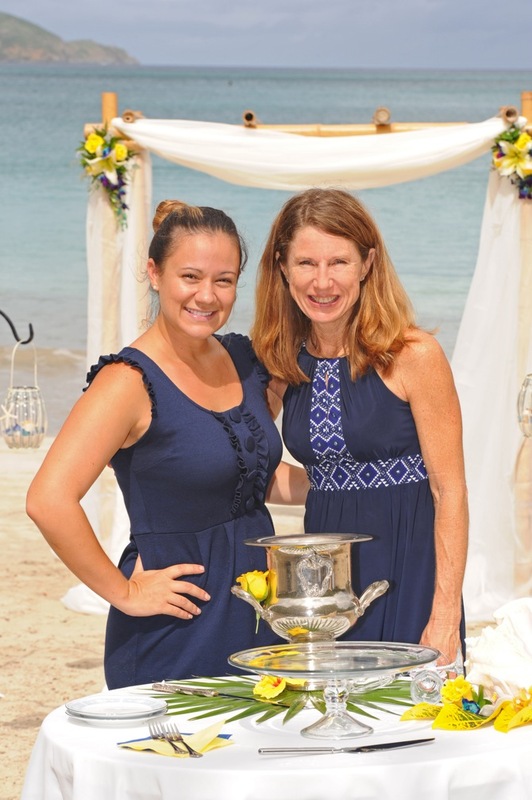 Angela Berry has been with Weddings The Island Way since 2008. A romantic by nature, Angela can offer many ideas for a unique ceremony. Whether elaborate or simple, she aims to think of anything you may not have. When you have other things on your mind, Angela is happy to do the coordinating for you. Sherri Merritt has been working with Weddings the Island Way since 1999. Getting married on an island is truly a more intimate experience, surrounded by the ocean, sand and foliage. Sherri has helped with weddings in a range of locations, so she can offer suggestions to suit your ideas.